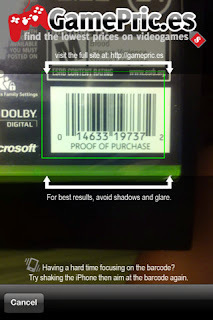 2011 — Mobers.ORG — Your Daily Source For Mobile FUN! 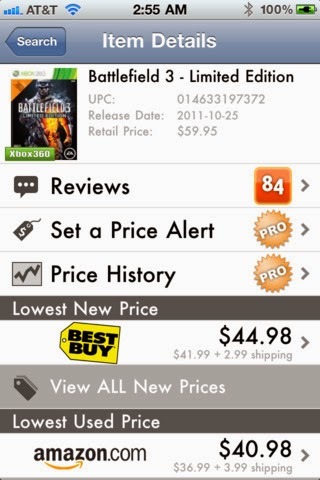 The Bargain-Guide for the AppStore - never miss a sale again. AppZapp will instantly inform you about price drops by push or eMail.There are hundreds of price drops every day and more than 450.000 Apps on the AppStore. 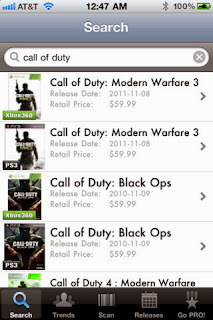 AppZapp will find all changes very fast and show them in well sorted lists to you. So you are always on top of whats going on on the AppStore. 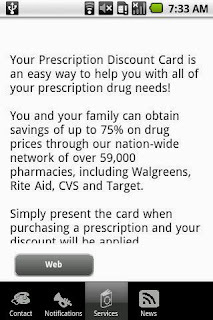 Prescription Discount Card is an easy way to help you with all of your prescription drug needs! 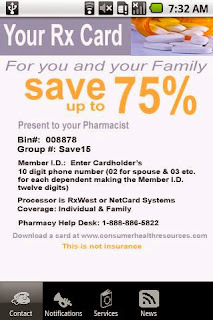 You and your family can obtain savings of up to 65% on drug prices through our nation-wide network of over 59,000 pharmacies, including Walgreens, Rite Aid, CVS and Target. 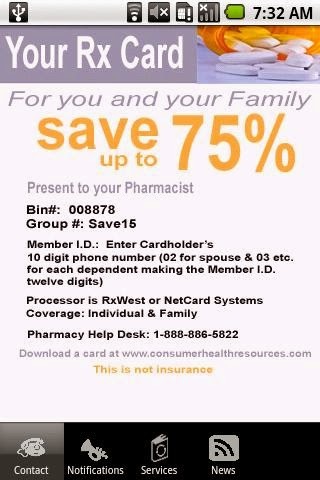 and additional cards can be obtained at www.consumerhealthresources.com. 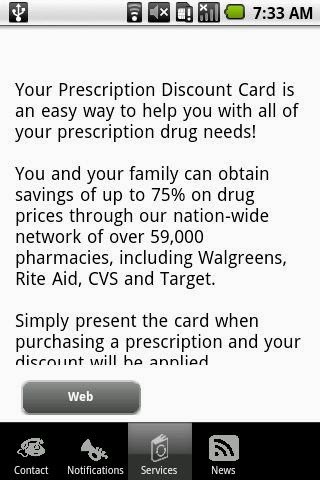 Use your card for any prescriptions that are not covered by insurance of any kind. Including Medicare Part D.
CLICK HERE TO GET IT NOW !!! IT'S FREE !! You’ve never played football like this before: FREE! Get hyped for an amazing season and pick any 2012 NFL team to be your own. Then compete against the rest of the league including all the real players. Level up and unlock over 200 plays, new stadiums and the Playbook Editor to draw your own formations. Carefully improve your players’ stats over time to train your ideal team. Thanks to motion capture technology, they look and move just like the real players. With intuitive controls for running and passing, plus a dynamic tackling system, you’ll be at the top of your game right from the start. The official NFL and NFL PLAYERS license brings every team & over 2,000 players to the game. Detailed graphics and a high level of realism for animations thanks to motion capture technology. Highly refined and intuitive controls for running, tackling and more. Endlessly deep strategy with the Playbook Editor and over 200 plays already available. Always keep in touch with the latest NFL news thanks to the official NFL RSS feed. Somewhere between your dreams and reality is a place where creatures of your imagination are given life to create your own personal fantasy world! Guide sturdy dwarves, mystic elves and more to help you unearth treasure, raise magic plants and build a thriving village. Meet villagers and help them by going on quests, playing an exciting mini-game and making mystic potions that will grant you great power. The world is yours to discover, so explore the wild lands outside your village, but be prepared to battle the dark beasts that lie in wait. Imagine all the possibilities! A fantasy world full of mythic creatures, amazing buildings, magical artifacts and adventure. Collect Magic Items and trade them for powerful Magical Potions. Play a mini-game for quick fun outside your village and defeat monsters. Visit any of your friends’ magic villages and exchange gifts to give each other a hand. Dungeon Hunter 3 isn’t just a freemium game - it’s also an arena, wave-based action game with pre-determined loot.Dungeon Hunter games were more about the adventuring, the third outing takes a more arena-based approach with bigger emphasis on combat and levelling.Each arena involves defeating waves of mythical creatures intent on making you a warrior-sized snack. Fortunately, magic attacks, dual-weaponry and a large array of equipment helps even the odds somewhat. The best thing about Dungeon Hunter 3 for me is that there’s no longer a rather tired excuse for a story. Instead, each of the five worlds is broken up into four separate arenas, with five difficulty levels of monsters to fight your way through before unlocking the next set. These are graded and can be repeated any number of times if you’re gunning for a high score or want to improve your level for the next bout. Each class can now be male or female, while separate skill trees ensure that their playing styles are different enough to justify their existence. Taking to the first arena as a hard-nosed Warlord, for instance, saw me getting into as big a group as possible to use his area attacks, while the Astromancer worked best with a fair gap between my foes and me. Alas, there won’t be any multiplayer component on release, but Gameloft has told me that it intends to have an update out with both co-op and PvP play in January. Despite the changes to the structure of the game, the gameplay remains distinctly Dungeon Hunter in its execution. And More!! 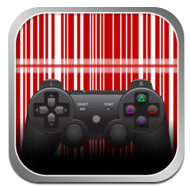 Comming Soon on your iDevices!! En garde! Fruit meets fairytales in the juiciest iPhone game this year - Fruit Ninja: Puss in Boots! The suave fruit-slashing swashbuckler, Puss in Boots, faces a challenge that would make Sensei proud. His search for the Magic Beans brings him to developer Halfbrick's legendary hit game Fruit Ninja. Prepare for a journey full of familiar and fruit slicing action he encounters a huge variety of new and exciting challenges! FC Barcelona, launch the game of your dreams, be the best coach, the general manger of the Club of your life. A game that combine the classic features of the Manager with the real Fantasy component. And with the real official contents of FC Barcelona Left back or center back? Should we extend our sport centre? 5 defenders or more strickers? Should we give a press conference? Two midfielders or one? Should we sign up any other player? Remember that your skills as coach and general manger and the real performance of your players will be important to achieve the glory in the club of your dreams. Do you want to lose it? 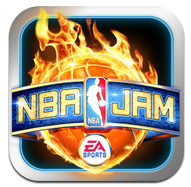 Jam with a friend in Local Multiplayer and rock your iPhone or iPod touch with all the over-the-top, high-flying, 2-on-2 arcade basketball action just like you remember it – and like you’ve never seen before! Go to the hole. Go strong. Go for the monster jam. KABOOM! Jam with all 30 NBA teams and your favorite NBA stars! Unlock legends from the classic arcade era like Scottie Pippen, Dennis Rodman, Dr. J, Scott Skiles, Karl Malone, Detlef Schrempf, and Danny Manning – plus some secret players you can only get on iOS. Open up outrageous cheats, too. 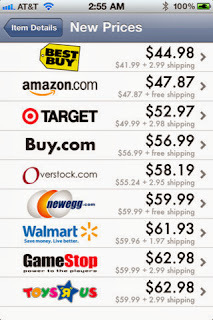 MyShoppingGenie is an innovative online shopping App that instantly finds the best deals and lowest prices on millions of products. It's fast, it's easy, and best of all, it's free! Unlock the bargain finding power of MyShoppingGenie simply by using your favorite major search engine such as Google, Bing, or Yahoo. Enter your chosen item and MyShoppingGenie instantly springs into action thoroughly searching the Internet, including major online retailer and auction sites such as Amazon, Ebay, Wal-Mart and the top shopping engines. Click here to get it now - It's Free !! New effects and cutscenes during the games for an even more TV-like football experience and Much More!! !